The Brains Trust: Charli Denision, Lori van Laren and Craig Charity. 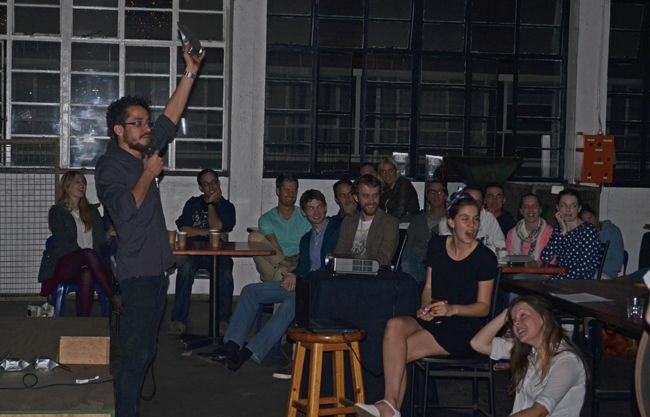 Last night at Colombo Coffee & Tea, a magical evening of coffee took place. 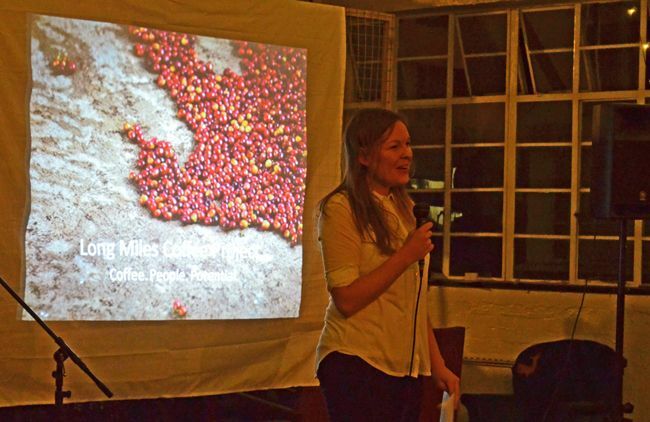 The reason that inspired the coming about of this event is one woman's desire to get back to Burundi to the coffee farmers that she has had the privilege of working with through the Long Miles Coffee Project. She managed to raise enough money to meet her simple living requirements for the next three months and leaves on Saturday to go back to Bujumbura. Any extra money raised will be plowed back into the community projects that she is running with the coffee farmers. Whatever the cause there was a great turn out and everyone definitely got their money's worth. 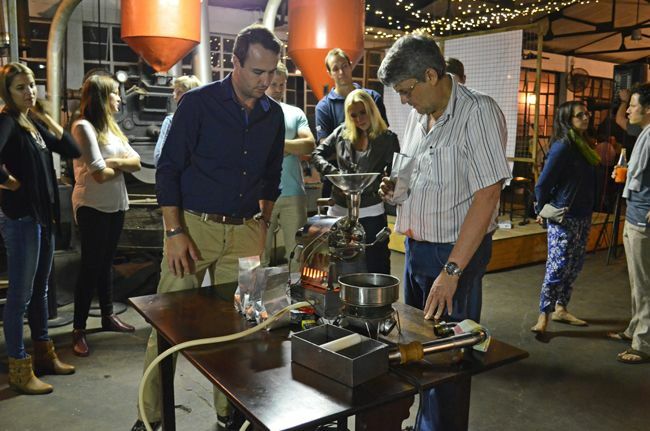 The crowds gathered to see Charles Denison of Cultivar Coffee coach coffee lovers through the roasting process. 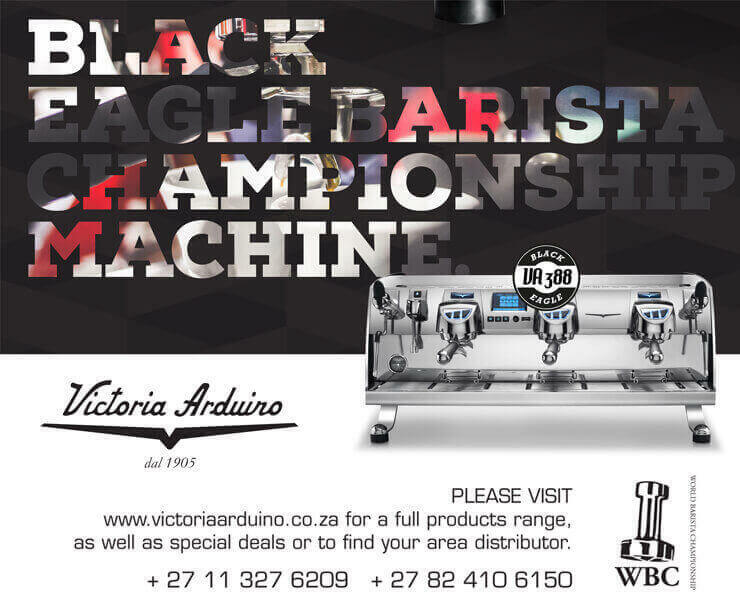 A whole new world of coffee for these enthusiasts. Timing is everything! Keeping track while the Huky 500 was in action. 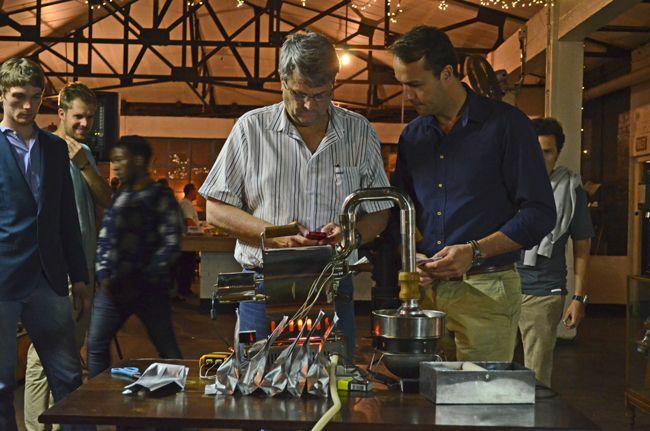 The Colombo team was on full steam serving up some amazing Burundian coffee produced through Long Miles Coffee Project. 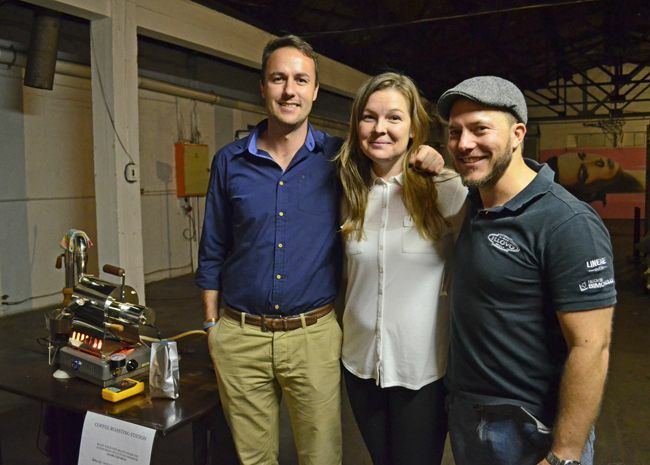 "The third wave coffee movement changes coffee from a commodity to an experience." 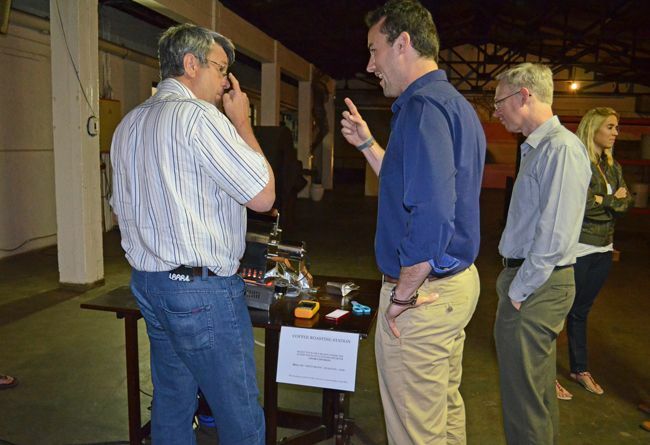 The auction was lots of fun! 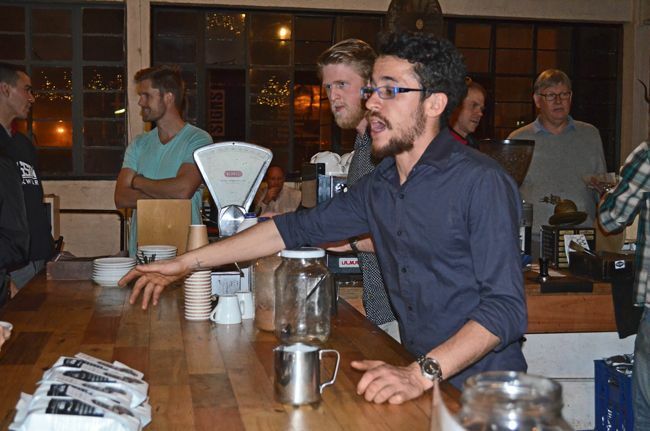 Arno ran it with great aplomb and 4 lucky people took away some amazing Burundian coffee.